No more ‘OLÉ OLÉ’ in Spanish sports? As we all know Madrid is bidding against Istanbul and Tokyo for the 2020 Games. The International Olympic Committee (IOC) will elect the winning city in September. With all that is going on now in Istanbul, Madrid chances are busted. Not counting only on their competitor’s misfortunes, the Spanish are doing everything in their power to enhance their bid by eliminating all possible obstacles. A tremendous show stopper for Madrid’s Olympic bid remains the ultra ‘soft’ Spanish anti-doping measures . 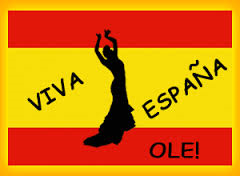 It is no secret for anyone that anti-doping in Spain is handled in a ‘olé olé’ way and, needed some serious legislative commitments from high levels of Spanish government. This being an understatement. Well this seem to be (finally) a priority in Cervantes’ country. 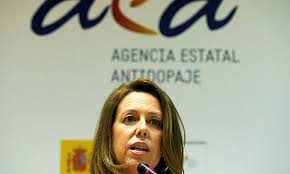 Indeed, Spain seems willing to come into line with international anti-doping guidelines, if we believe Spanish Sport Minister declarations when Spanish parliament approved this week a new anti-doping law. This new “law for the protection of athletes’ health and the fight against doping” will come into effect next month. Lets come back to the law. It has created a new body to replace the Spanish anti-doping agency (AEA). The Spanish Agency for the Protection of Health in Sport will be an independent organisation responsible for managing and carrying out doping tests around the clock. It will also administer punishments nationally, raise fines and be able to suspend licences . An administrative sport tribunal is also to be created. “It strengthens the Madrid 2020 bid. Doping is no longer on the agenda as a concern for Madrid’s candidacy. It is a determined step forward for Spain in the fight against those who do not respect the purity of sport. This law is the final link and the end of a process of adaptation to WADA”. To be honest, I still need to be convinced on the how and the if this new organization will be really ‘independent’. Well, I guess I will have to wait and see, but in the meantime let me have a dream. They say I am dreaming in colors. 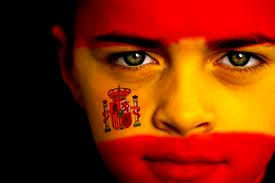 But I like my dreams and I adore Spain! Buena suerte a tu España, y no olvides especialmente tu promesas!